Nestled in a peaceful countryside setting only a stroll from Tralee town centre, our multi award-winning caravan and camping park is a perfect destination for fun-filled family holidays whatever the weather and is ideal to explore Dingle, Ring of Kerry, Killarney and Wild Atlantic Way. Visit our website here for all prices, offers, facilities and more. 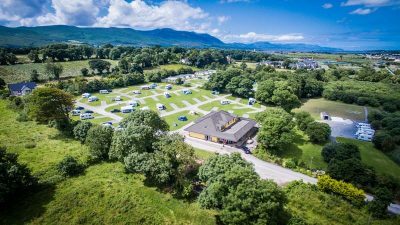 Tralee is the perfect destination for Fun-filled Family holidays with lots to do whatever the weather. 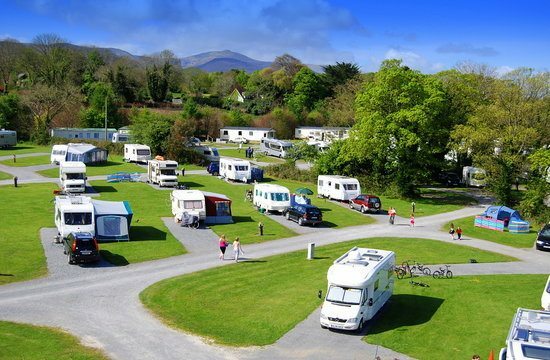 Within a few minutes walk of our caravan park is the Aqua Dome, Tralee Bay Wetlands Centre, Siamsa Tire Theatre and the Kerry County Museum, and a short drive takes you to Crag Cave, a choice of beautiful beaches, mountains and lots more to explore . All of our guests get discounted admission into the Aqua Dome, Ireland’s largest indoor waterworld. 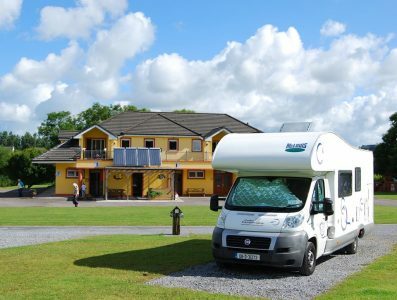 Tralee is the Gateway to the Kingdom of Kerry and an ideal base to discover the best of the Wild Atlantic Way including The Dingle Peninsula, Ring of Kerry and Lakes of Killarney. With numerous festivals and events throughout the year including the Rose of Tralee, there is always something to capture your imagination in Tralee. Owned and run with the personal care of the McDonnell family, our spacious site is open until the end of November 2017 and we look forward to welcoming you soon to one of Irelands best caravan and camping parks. See TripAdvisor here.